Nick Cragg and Martin Jenkinson have announced that they would like to step back from their custodianship of Rotherham Titans, the borough's rugby union club, and are inviting interested parties and individuals to come forward and take Titans to the next level. The successful Rotherham businessmen were part of a consortium that saved the club in 2004 after the previous owner withdrew their financial backing. Nick Cragg established Stafforce Recruitment in 1977 and with a head office on Percy Street in Rotherham town centre and a UK-wide network of 28 sites, Stafforce offers a range of services to clients through its Stafforce Recruitment and Nicholas Associates brands. Martin Jenkinson founded Jenkinson Insurance, a large, owner-managed commercial insurance brokerage, in 1988. It recently had plans approved to move its operations to Hellaby due to expansion. The pair, who both played for the club, said in a statement that the Titans are now searching for "the right calibre of new ownership that can accelerate the club's objectives and who will provide both leadership and support benefiting the interests of the club, the players and the supporters." The Championship club, who ended the season in the playoffs to reach English Rugby's Premiership again this year, have encountered difficulties with the landlords of their Clifton Lane ground, the Rotherham Athletic Company, and ground sharing Rotherham Town cricket club. The statement continued: "Cragg and Jenkinson are passionate about the club's prospects and firmly believe the Titans represent an exciting opportunity for new owners with vision, passion and funding to take the club to the next level. Without any doubt, the prospective new owners can capitalise on the club's solid foundations and drive the Titans toward promotion to the Premiership." Nick Cragg, chairman of Rotherham Titans, said: "We are immensely proud of our achievements in taking the Titans to a top four Championship club over the last ten years. The club's journey doesn't end here; with the anticipation of the Rugby World Cup in England in September, plus the announcement of additional financial support from the Rugby Football Union for the forthcoming season, there has never been a better time for the next generation to come forward and take the reins. "It appears that many professional clubs, both Premiership and Championship, are striving to find a model which is sustainable and we are no different. It could be that this proposition rests on the shoulders of the many rather than the shoulders of the few. Now is the time for Titans to take that exciting step into the future." 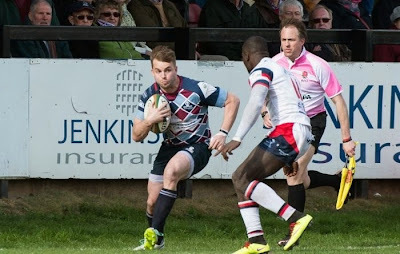 Martin Jenkinson, director at Rotherham Titans, added: "Running a Championship level club in Rotherham has required commitment and hard work; this is neither an affluent nor a traditional rugby area. Over the last ten years we have built solid and lasting relationships with the business community, the local authority and the amateur club overcoming many of the challenges we faced upon taking ownership. We now need fresh ideas and support if the club is to continue to produce the level of rugby that we all love to see."